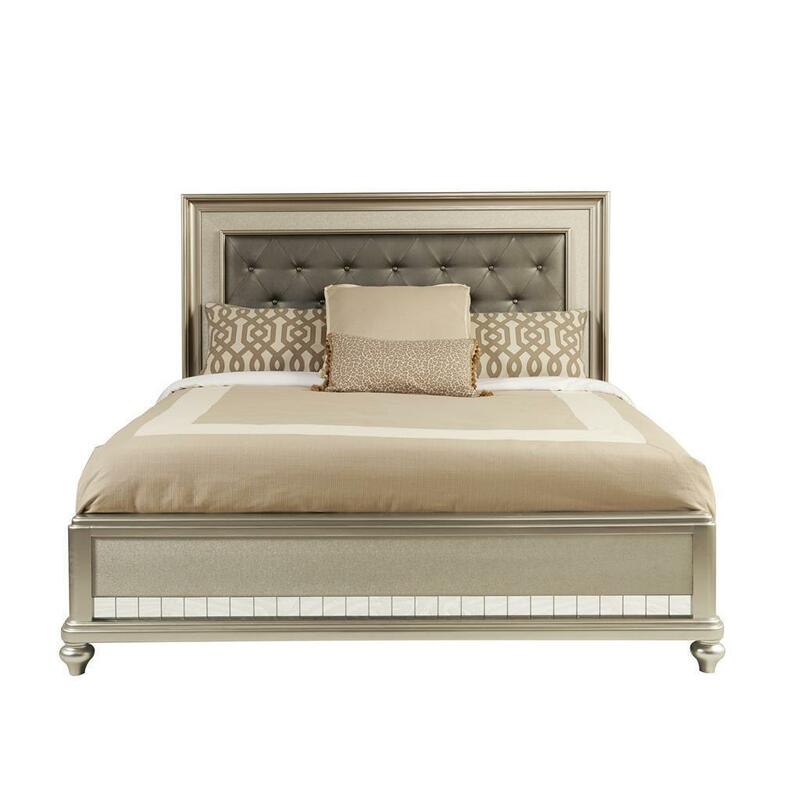 Feel luxurious in this Panel Bed that instantly becomes the focal point of your room. This stunning bed features an upholstered headboard that is covered with embossed faux leather and detailed with diamond tufting. 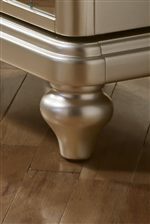 The footboard adds a touch of bling with mirror strips across the bottom and sits on smooth turned feet. The frame of the bed is finished with a platinum finish adding to the already glamours feel. 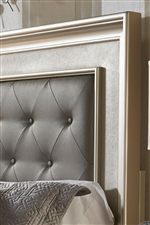 The Diva King Panel Bed w/ Tufted Headboard by Samuel Lawrence at Miskelly Furniture in the Jackson, Pearl, Madison, Ridgeland, Flowood Mississippi area. Product availability may vary. Contact us for the most current availability on this product.